International Women’s month is an opportunity to focus on women’s contributions to families, communities and nations around the world, while also highlighting the continued challenges that hold many back from equal participation. Struggles are further amplified for internally displaced persons (IDPs). 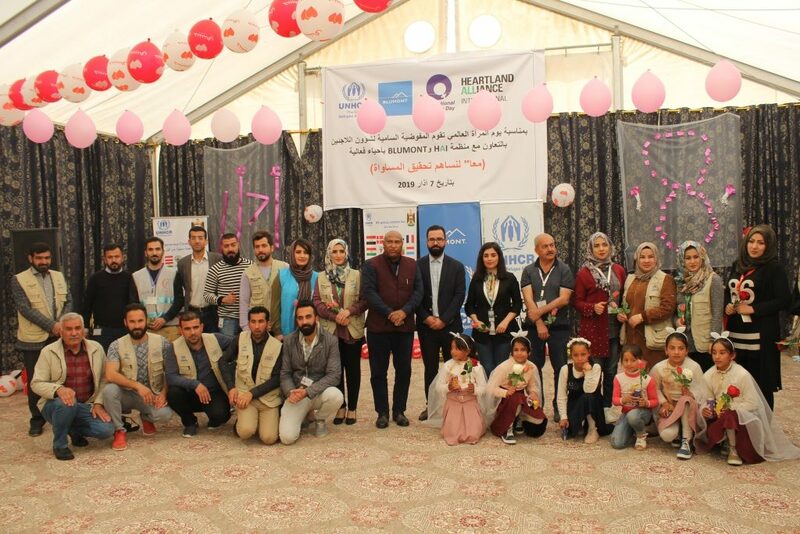 Blumont’s team at the Laylan 2 Camp in Iraq worked with the UN High Commissioner for Refugees (UNHCR) and Heartland Alliance International (HAI) to organize a celebration of International Women’s Day to encourage women to share their experiences. An audience of more than 150, including IDPs and camp service providers, heard stories of challenge and hope from women and youth in the camp. Through speeches, plays, poetry and songs, participants advocated for women’s equal presence in decision making and the impact this engagement could have on the community. Teba (طيبة), a woman in the camp who was displaced from Hawija district, shared an emotional poem she called “Mother.” The piece reflected on the formative nature of motherhood and how these connections transcend differences. 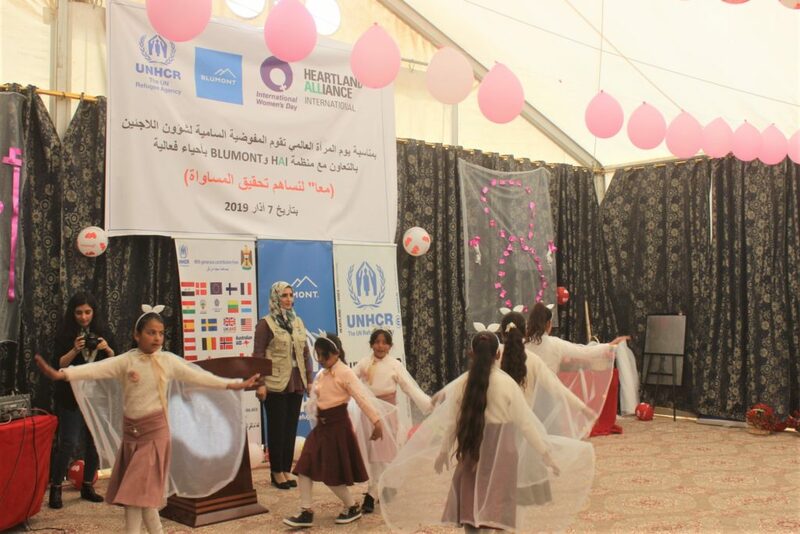 Several groups performed plays reflecting real-life stories showing how women and girls, especially IDPs, have struggled and how they’ve overcome these struggles. One performance used pantomime to show how women support their families despite the difficulties they face in the community. Even without words, they conveyed that women have a right to study, work and play an active role in society. This Women’s Day celebration is an example of one aspect of Blumont’s efforts at Laylan 2 Camp. Teams work with IDPs to provide health and nutrition services, community activities and support to trauma victims and their families. Laylan 2 Camp is managed as part of IRD/Blumont’s Camp Coordination and Camp Management/Conflict Resolution and Resilience Building (CCCM/C2RB) programs. CCCM provides camp management in four camps for internally displaced persons (IDPs) in Iraq, including accommodation and community mobilization activities. C2RB improves the lives of individuals in Iraq by identifying and implementing solutions to mitigate violence and conflict among IDPs and host communities. They are both funded by UNHCR.